One word, STUNNING! China-based artist Yuan Xing Liang, stuns us with this marvellous work of art, Spring Mang Taohua Island Four Seasons Fantasy City series. Yuan enrolled us with fantasy and epic craftsmanship, every angle and the flow had our mouths wide open. 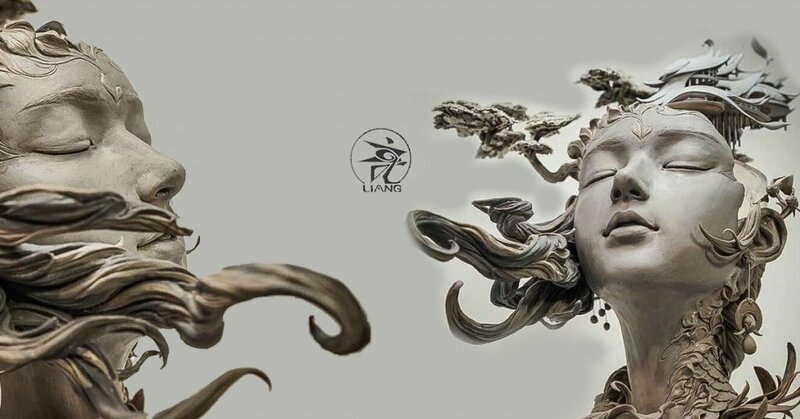 Never really been a fan of bust style figures/sculptures but Spring Mang Taohua Island Four Seasons Fantasy City series could be the one that changes that. The question now is how to display such beauty? 360 degrees of pure detail. Imagin if a full-colour edition! Right now no information is available about a release, stay tuned for further updates.